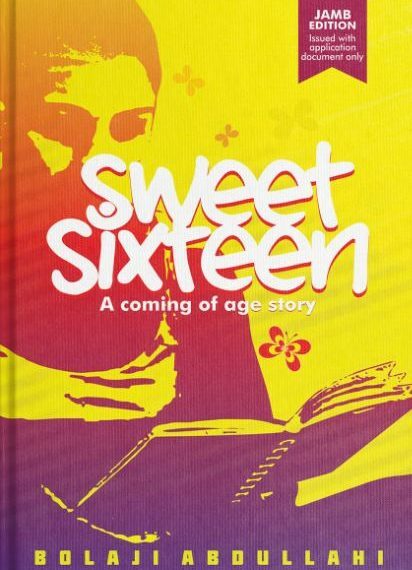 JAMB Novel Summary of Sweet Sixteen by Bolaji Abdullahi. The Jamb novel for 2019 UTME is titled “Sweet Sixteen”, written by Bolaji Abdullai. Candidates are to note that irrespective of their choice of course of study, they will be tested on this general text in the Use of English paper. JAMB candidate are to collect this novel, Sweet Sixteen at the point of registration. Also candidates are advised to bookmark this page and always visit from time to time for regular updates about the JAMB novel. We hereby feel it is useful to do a brief summary of the Jamb reading text, Sweet Sixteen and also some likely questions which we feel would be asked according to the book. Note that this is in no way the JAMB questions that will come out, rather it is for practice purposes. The novel is about Aliya who is constantly reminding her father that she is not a child but ‘a young adult’ but as a doting father, Mr. Bello does not always agree with her. As she’s turning sixteen with all the changes that follows, the started to notice. The expected birthday card from him is replaced by a present and no a ‘serious’ letter – a page for each year she has lived. This leads Aliya to question who she is and why she is; with her father as a guide on this journey of discovery. NOTE: Candidates are warned that the Board does not require nor authorise the services of ANY cyber cafe or establishment other than the accredited CBT centres for the UTME registration exercise.